Hello and good morning guys, welcome back to my website. This day I want to bring up a topic from one of the most strongest Villains in Naruto manga and anime. So, who is it? Can you guess it? Yeah, that’s right! It’s Uchiha Madara! Well, how much do you know about Uchiha Madara? Do you know who is Uchiha Madara? Check out my article today and find out who is him and his role in the shinobi world. There are a lot of people who idolize him even though he is one of the most powerful antagonist characters in both of Naruto Manga and Anime. However, despite from his evil side. There is always a side reason or reasons that have been hidden all along. Well, do you ever wonder why he becomes like this? Do you know why he becomes the only leader of Uchiha Clan that match and can be paired as the rival of the former leader of Konohagakure Village the Senju family? Well, if you don’t know any information about Uchiha Madara. How can you dare to call yourself a big fan of Madara? First, as a basic knowledge, you need to know who is him. 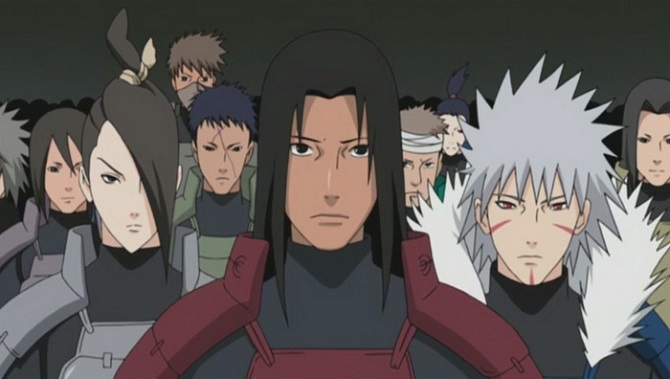 According to the Manga and Anime explanation, Uchiha Madara is the first son of five brothers of Tajima Uchiha’s family. However, war has taken his three brothers and left him and his youngest brother Izuna alive. 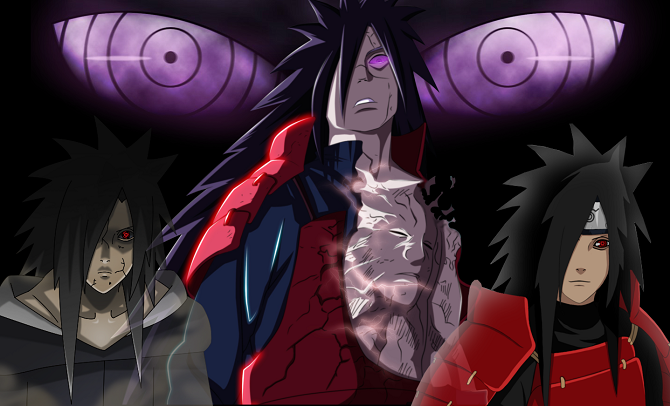 The pain of war and loss of his brothers left a deep scar in his heart and this also becomes the reason why Uchiha Madara is cold hearted. Later in the manga and anime, It explained that he took his brother eyes by force to replace his blind eyes that caused by overusing Mangekyo Sharingan. However, this horrible thing even brings a bigger luck to Uchiha Madara, after the transplant his brother eyes to him, he gets enormous power and being able to activate the legendary Eternal Mangekyo Sharingan. Well, even though according to the story Uchiha Madara takes Izuna’s eyes by force to replace his own eyes that blind because of over using Mangekyo Sharingan to win every battle. Uchiha Madara also has a good side in his heart. It is said that Uchiha Madara is the former founder of Konohagakure Village along with Hashirama Senju his rival. We also can look that Madara only wants to fulfill his dream to make a peaceful place. The place where there is no war in this world by Activating the Infinite Tsukiyomi Jutsu that soon being destroyed by Naruto Uzumaki and his friends. I think my article today about a review on who is Uchiha Madara is enough for today. I hope my article today can help you to know that sometimes bad person born from a good person that get hurt. If you think my article today is useful for you, please share my article today with the other fans of Uchiha Madara. See you soon in my next article, I really hope we can meet again tomorrow. Thanks for coming and have a nice day guys.